Pittsburgh native, Tamara Tunie, has had a storied career as an award-winning actor, director and producer whose body of work has garnered international acclaim while simultaneously bringing light to important social issues. Tamara first came to national prominence as Jessica Griffin in As The World Turns. She then gained an international following playing Medical Examiner Dr. Melinda Warner on the legendary NBC series Law & Order: SVU. Currently, she can be seen starring opposite John Goodman and Michaela Coel in the BBC/Netflix thriller Black Earth Rising as Eunice Clayton, Asst. Director of African Affairs. Recently, Tamara wowed audiences in the hit AMC series, Dietland, in which she stars as Julia, manager of The Beauty Closet, an underground warehouse full of every kind of beauty product imaginable, which is at the heart of a mysterious plot. Tamara was a series regular on Sundance TV’s The Red Road as tribal chief Marie Van Der Veen opposite Jason Momoa and Julianne Nicholson. Recurring guest starring roles have included such hit shows as Better Call Saul, Blue Bloods, Billions, Alpha House, 24, Elementary, and Survivor’s Remorse. Tamara starred in the Netflix film Irreplaceable You, with Gugu Mbatha-Raw and Michiel Huisman; Flight, with Denzel Washington; The Devil’s Advocate, opposite Al Pacino and Charlize Theron; City Hall, also with Al Pacino; Snake Eyes, with Nicolas Cage and Gary Sinise; and The Caveman’s Valentine, opposite Samuel L. Jackson. Tamara made her feature film directorial debut with the indie romantic comedy See You In September starring Estella Warren and Justin Kirk. On Broadway, Tamara produced the hit show Spring Awakening, which won both the 2007 Tony Award for Best Musical and the Drama Desk Award for Outstanding Musical. She’s also produced the plays Magic/Bird, and August Wilson’s Radio Golf, which was nominated in 2007 for the Tony and Drama Desk Awards for Best Play. And she produced Frog Kiss: The Musical – a re-imagined bedtime story with a bawdy twist at Virginia Stage Company. Tamara starred in Tony Award-winning playwright Robert Schenkkan’s two-person political suspense thriller Building the Wall with James Badge Dale at New World Stages. She also realized the role of Marvelous in Danai Gurira’s Familiar, for which she won an Obie. She brought Kendra to life in the Barrington Stage Company’s world premiere production of American Son, and she portrayed the Lead Detective in Steven Soderbergh’s The Library at The Public Theatre. She starred as Maggie in the first all African American production of Tennessee Williams’ Cat on a Hot Tin Roof, Calpurnia in Julius Caesar opposite Denzel Washington, and the 20th anniversary post-9/11 benefit concert of Dreamgirls. She also shared the Broadway stage with the late, great Lena Horne in the musical Lena Horne: The Lady and Her Music. Beyond acting, producing, and directing, Tamara is deeply engaged in several community and philanthropic efforts. She has served as chair emerita of the Board of Directors of Figure Skating in Harlem, a nonprofit organization that teaches education and life skills to young girls through the art and discipline of figure skating. She’s also President of the Board of Directors at Harlem Stage/The Gatehouse, a board member of God’s Love We Deliver, and she serves on the Advisory Board of Hearts of Gold. For more please go to tamaratunie.com. 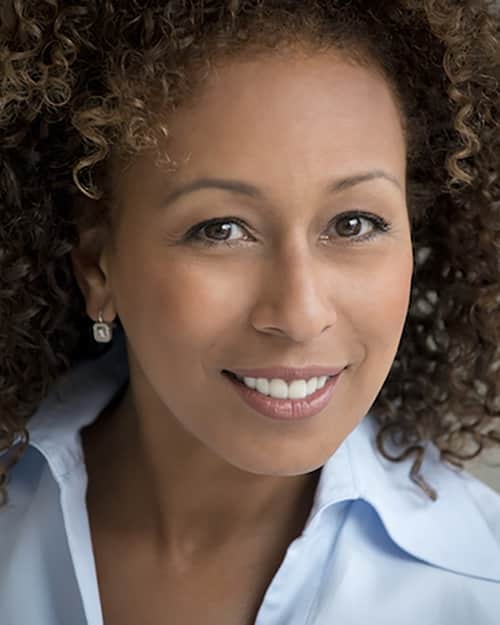 Pittsburgh native, Tamara Tunie, has had a storied career as an award-winning actor, director and producer whose body of work has garnered international acclaim while simultaneously bringing light to important social issues. Tamara first came to national prominence as Jessica Griffin in As The World Turns. She then gained an international following playing Medical Examiner Dr. Melinda Warner on the legendary NBC series Law & Order: SVU.